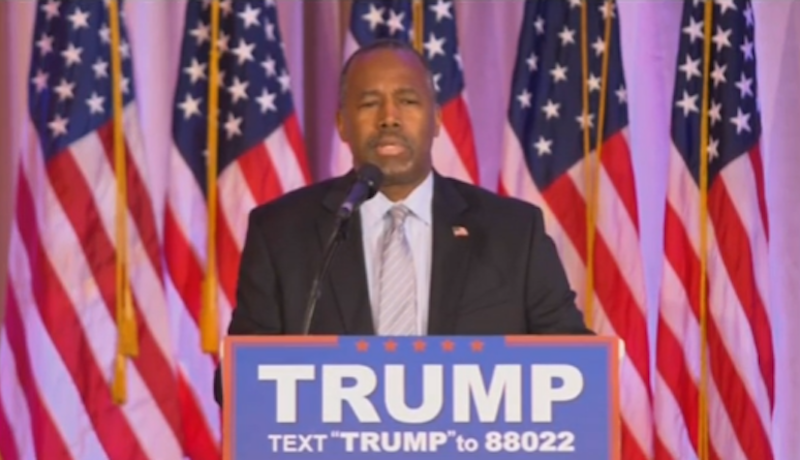 Ben Carson Endorses Donald Trump? “I’m a big thinker,” Trump confirmed after the endorsement. Trump also denied making a deal with Carson in exchange for the endorsement but did say, “Ben’s going to have a big part” in the campaign. Image via WJLA Livestream. Contact the author at gabrielle@gawker.com.